Women who have naturally large breasts often experience a constellation of symptoms that can be quite uncomfortable and even deforming. Among the more common physical complaints are neck, back and shoulder pain, grooving of the shoulders, headaches, rashes, skin irritation, numbness of the hands, postural changes and arthritis of the vertebrae of the neck and lower back. Breast reductions are extremely successful in alleviating the pain and discomfort associated with massively enlarged breasts though some anatomical reminders persist. It has been my observation that most women with significantly enlarged breasts will exhibit grooves of their shoulders caused by the weight of their breasts compressing their bra straps into their shoulders. The greater the weight and longer the duration before surgery is performed, the deeper these indentations may be. They are usually permanent as well. 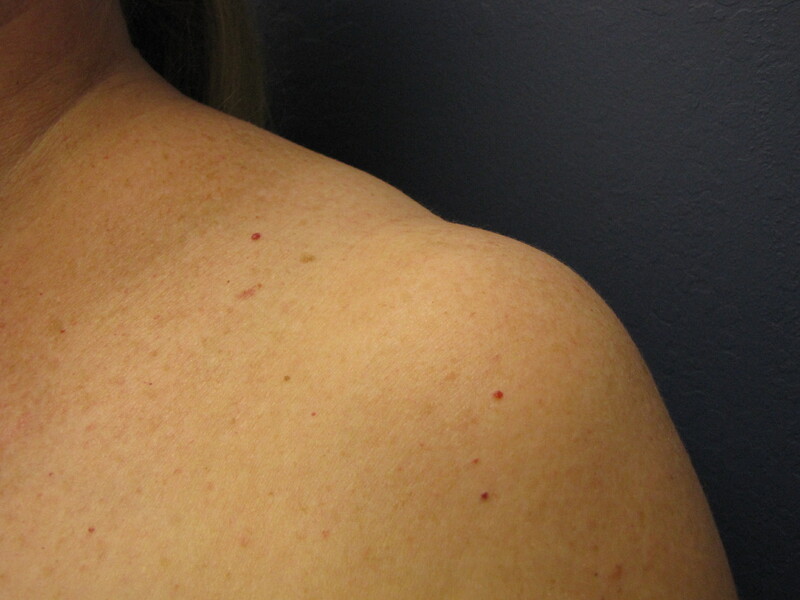 The following photographs demonstrates the deep grooves of the shoulders that are one of the more common findings in women seeking breast reduction surgery. An interesting finding here is that the deeper indentation of the right shoulder is also associated with the much larger right breast. Breast reduction patient with grooving of the shoulders. 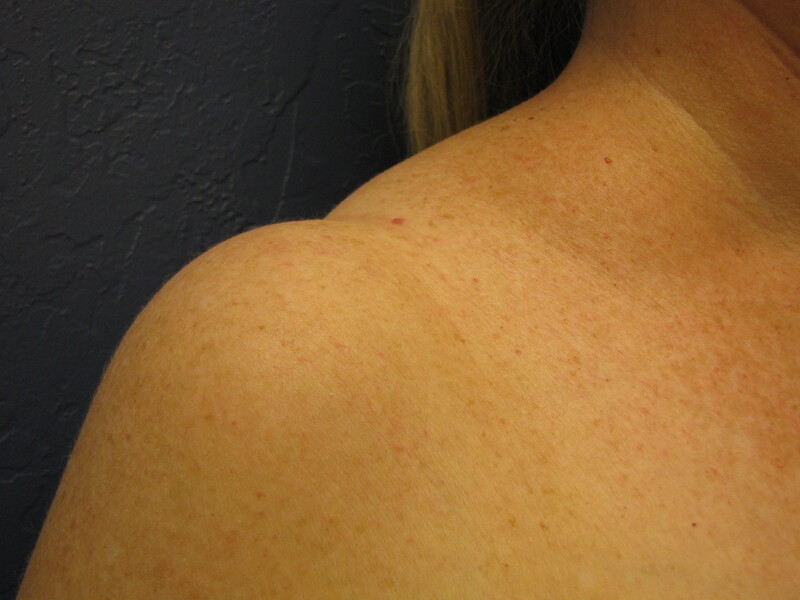 Note that the deeper indentation on the right is associated with the larger right breast. For more information on breast reduction surgery or for any other plastic surgery procedure that I perform or to schedule a consultation with me, please call my office at 480-451-3000.